I'll be there and have something good up my sleeve. We sparred for four weeks hosting a league while players got used to using the proxy versions of There Comes a Reckoning, anticipating the arrival of new players but none came. 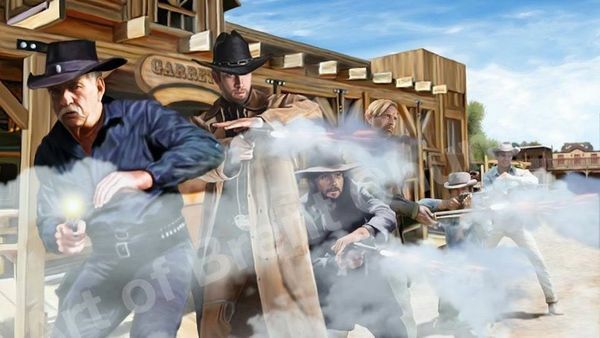 Undeterred, we proceeded with a 3-player Round-Robin Tournament to culminate the affair, promising the handsome I'm Your Huckleberry playmat as a payment for the winner. Naturally, we settled 1-1-1, and were thereby unable to resolve a clear advantage so as to merit the prize. The tournament organizer (yours truly) stepped down and called a "cut": the remaining players standing would have to rematch at a later and decided-upon date for a stake at the claim. Weeks passed as we were unable to all sit together in the same game room. In the interim, the gamestore held the mat, and on a next night Tom came and claimed the mat by default, and declared a new turf upon which to host the final challenge: At his house upon his new gaming table! I recoiled. Stefan dusted his collar. Challenge issued, Stefan got to work building a new deck - this time not simply a deck reciprocated from the database - but a true original deck. We met up the following Monday, and got in a single game's practice. Tom arrived late, and twisting his brow as he threw his curveball, announced that if someone wanted a piece of him outright, he wouldn't hole up in his house like some frightened sod: He slammed the mat on the table and called Stefan out right on the spot! Stefan accepted. The score would be settled this night. Tom brandished his tricksy Roses are Black (https://dtdb.co/en/decklist/2629/roses-are-black) to Stefan's newly incepted No Skin, No Shoes, No Service (https://dtdb.co/en/decklist/2730/no-skin-no-shoes-no-service-) and they got to shooting. After double-grifting and picking out Comin' Up Roses, Tom rushed the townsquare with Signin' Over the Stores. Stefan gave one look at his discard pile (an impressive 10 cards thick) and declared Hell No: Both players were all-in with a nary a noon action hatched. For two rounds Tom struggled to put together a Straight-flush but always fell one card short while Stefan steeled with a reliable Full-house. Tom retreated to lick his wounds, and no sooner had he done that played Angelica Espinosa who returned to the townsquare for a Recruitment Drive while Hidin' in the Shadows. Stefan meanwhile picked Smiling Tom out of his own discard with a Soul Cage and running six dudes deep across his Oddities of Nature, braced to receive the second full-force of the Den of Thieves. Lady luck frowned on Tom again as he revealed a Pair which he turned into a hand rank 7 cheatin' Flush using his tricks, only to be shot down to Stefan's legal Four-of-a-kind. As Tom tried to rebuild, Stefan pressed the advantage, and put The Whateley Estate into play, recycled his Joker, and held off a third job which Tom tried to rush past him. Glimpsing his moment, Stefan responded with his own job, Election Day Slaughter, going all in. Tom, knowing he needed a hail mary, opposed him with two of his remaining three dudes. Tom won a single round by sheer luck, and knowing this, backed off completely, offering his last grifter Genesee "Gina" Tailfeathers as tribute, and stormed the townsquare one last time with Makaio Kaleo, Esq. soloing a final attempt at a Recruitment Drive, opposed by a lone Jake Smiley. The insurance salesman bested the lawyer Two-Pairs to One Pair, sealing the Den's fate. An old card, Manuel "Ol' Hateful" Sierra-Pinto, who had seen his last fight somewhat the latter half of the eighteen-nineties, indeed a tried and true Classic player, drifted through our neck. Being that high-control-point-high-production, out-of-town/strike, "boot and chase" playstyle is no longer supported by the game, settled into giving the new Morgan Regulators (https://dtdb.co/en/card/18005) and Lawdog Arsenal (https://dtdb.co/en/card/05002) a go. We played round robin about three matches, all ending within a couple of turns as all decks and players involved played a high aggression early game play strategy. Tom switched between his vicious It's-A-Me, Mario! shooter (https://dtdb.co/en/decklist/2595/it-s-a-me-mario-) and his conspicuous Amazing Dead Horse! (https://dtdb.co/en/decklist/2603/amazing-dead-horse-), Stefan was trying out The Most Basic Law Dogs Deck (Bounty Hunter List) (https://dtdb.co/en/decklist/2839/the-most-basic-law-dogs-deck-bounty-hunter-list-), Manuel alternating between Civic Corral (https://dtdb.co/en/decklist/2708/civic-corral-origins-2018-1st-place) and Pre-Crime Algorithm (https://dtdb.co/en/decklist/2851/pre-crime-algorithm), and I was experimenting with Eagle Wardens. At the end of the night, Tom and Stefan, Ol' Hateful an' meself got into a Multiiplayer game, using The Quick and the Dead win condition of the Mind Yer Own Business variety (http://forums.pineboxentertainment.com/t/hello-please-test-these-multiplayer-rules/3203), and commenced to shootin. A couple of turns in, I tried to convince Tom to "be on my side" as Chief Stephen Seven-Eagles (https://dtdb.co/en/card/09028) walked into townsquare and booted to put both the other players into check (threatening to eliminate them). All Tom had to do was defend the Chief and we would have downsized to a heads-up match. Tom shot my dude down instead, and the game continued with four. We were lucky enough to have a 2nd Abomination Series event. Unfortunately at the last moment Manuel's wee toddler "Young Charly" threw nighttime fits rendering him unable to attend (but promising an ominous return...). 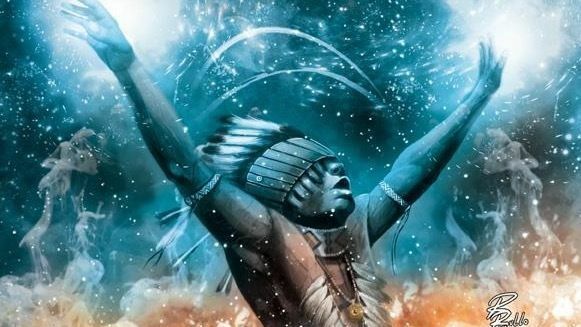 That said we were able to pull a 4-man tournament on the heels of a dangerous Drifter from the days of Classic what come into out lot, and commenced with some proper Round Robin (partially retold here: https://dtdb.co/en/decklist/2904/spirit-ambush). Our field was Anarchists (Alex), Entrepreneurs (Stefan), First People (me), and Outlaws (Tom) - sufficiently diverse - as strangely about half of our games went to time. By the time my first game was finished, I sat down to observe the match next to me, dumfounded to see nary a single control point on the table! Perhaps, thought I, both player's game plan was to remove the opponent's entire posse from the board and camp a single unowned deed to seal a win!? However it happened, time was called in the middle of a Maggie Harris job, which continued past the clocktower a single round, before the defending player retreated. And amazingly, with both sides weighing in at 0 CP each, the game could not be broken with Influence either, as that too was tied! Perhaps mis-remenbering the official tiebreaker rules, I called "bullets" as the decider (as I recall, it's either that or "money"...), and Forster Cooke vaulted his Anarcho-Proprietor across the borderline. Berkeley announcing a new monthly event! On Saturday, April 13th, at High Noon, four Factions squared off for control of Tombstone: The Outlaws (Tom) vs the Fearmongers (Stefan) vs the Entrepreneurs (Eitan) vs the Anarchists (me). We played using the "Victory Point" + "Sequential Plays" + "Mind Yer Own Business" multiplayer table rules (http://forums.pineboxentertainment.com/t/hello-please-test-these-multiplayer-rules/3203). Of these, I strongly prefer Victory Point as it plays like Elimination without actually eliminating that player (no fun) without being as long a game as Total Control, and I strongly prefer Mind Yer Own Business over By The Book because it incentivizes players who want to make plays to actually collaborate, which, is in my opinion the best part about multiplayer. I normally would prefer Turnabout over Sequential Plays, because it builds upon an unwritten understanding that making plays is an alternating process between posses, but chose the latter for simplicity's sake; after we get more multiplayer games under our belt, I will probably make the switch, but not today. I will tell the story from my perspective: Xui Yin Chen stepped into the Townsquare after her troupe won lowball, and her initial plan was to callout anyone who dared step foot, but immediately following, the Oddities of Nature player (Stefan) followed suite leading with an Abomination into Townsquare, and she took the implicit threat of booting (and thus turning off her ability) as a warning to instead occupy the Undertakers (ultimatly, a wise choice what with three other players), bringing some of her gang along. The Fearmongers challenged her there, but were not only shot down, but Xui, by virtue of her ability ("...and get +1 influence..."), also buried their abominable corpses into unremarkable pineboxes, collecting a fistful of ghostrock in the process. This not only stalled the Fearmongers engine (see linked deck), but allowed Xui and the 108 Righteous Bandits to hire not one, not two, but three additional dudes (combined with the lowball win) over the first couple days, and two deeds, cocking the eyes of her other opponents, who camped the Mausoleum and Attorney's and proceeded to collaborate in shootouts against the Anarchists, taking casualties on both sides, all of which in turn filling the coffers as the other half of the gang still camped the Haunted (Ol' Howard) Undertakers. Soon enough, the Oddities found themselves with 0 influence, netting the Racket (Tom) and the Regulators (Eiten), who spent a turn squabbling with one-another (alternating between friend and foe this game), one Victory Point each. Xui and the gang were saved by a pair of timely Sunday Best, allowing them to not forfeit on the wages of Longwei Fu and Natalya, who were beat back again as they tried to reclaim the deeds (especially the Mausoleum ramping to 3 control points): But in the the master's retreat (Fu), he imbued his comrades with knowledge of warfare, as a second round of reinforcements returned to retake the Mausoleum, and, deploying tricks of the light (Sun in yer Eyes), were able to beat back the occupiers. Thus it was that Xui's Anarchists suddenly placed the entire game in check ("Total Control" style aka 3 Victory Points), such that those precious 0-bullet 1- or 2- influence dudes emerged from their homes to mount desperate last-ditch efforts (hoping to "topdeck" a legal 4-of-a-kind? ), but succumbed in succession to the mathematical probabilities of such reckless folly.